The name given to the stretch of forested, coastal area between Mossel Bay and Port Elizabeth – is the brightly-coloured cherry on this southern slice of Africa. All along the Garden Route, spectacular mountain ranges dip and rise alongside a rugged coastline whose cliffs, estuaries, placid lakes and endless pristine sandy-white beaches are lapped by the Indian Ocean. Pressed between these forces of land and water are ancient forests, and secluded exotic seaside towns. The Garden Route is a paradise for nature-lovers and outdoor enthusiasts, this malaria-free region is also a long-time favourite for family holidays. For more information please use the menu bar below to see more details. On your arrival at Oliver Tambo international airport you will be welcomed by our friendly professional guide, who will take you to Park Inn, a contemporary, vibrant and modern hotel situated in Johannesburg’s up market suburb of Sandton. 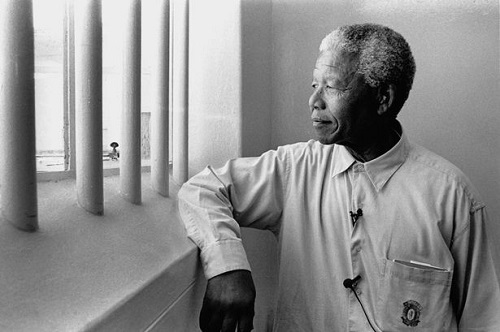 Nelson-MandelaExperience an audio-visual guide through South Africa’s dark days of apartheid into freedom. Get a taste of the townships in the 70” s and 80”s through film footage, text panels and artifacts which are arranged in such a way as to recreate the experience of what it was like to live under apartheid. 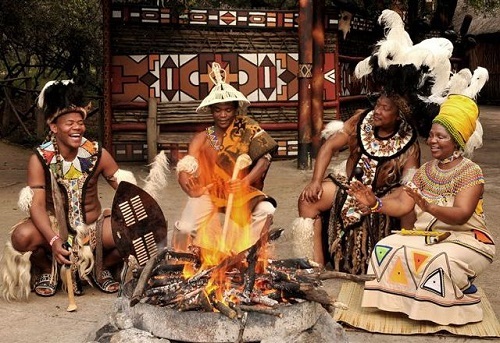 The guided tour of ethnic Zulu, Basotho, Xhosa, Pedi and Ndebele homesteads at Lesedi Cultural village will give you a firsthand experience of ethnic life and practices. Infused with the history of the struggle against apartheid and abuzz with the energy of the “city of gold” — South Africa’s largest African suburb — will provide you with a fascinating cultural experience. Meet the vibrant local people and visit World Heritage Sites such as Nelson Mandela’s first house in Vilakazi St. A street where two Nobel Peace Prize winners (including Archbishop Desmond Tutu) once resided. Addo Elephant Park: Located an hour’s drive from the city of Port Elizabeth, is a finely tuned ecosystem, home of over 550 wild elephants, wild roaming lion, black rhino, warthog, leopard and various antelope species such as the mysterious eland, magnificent kudu bulls and the flightless dung beetle exclusively found in Addo. 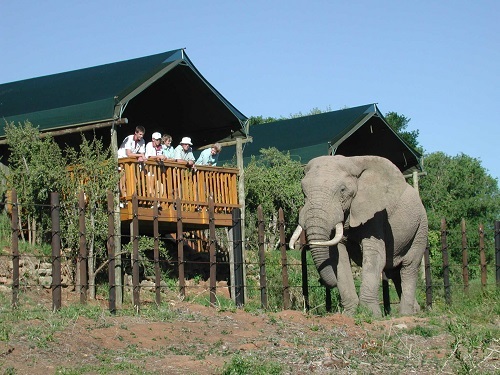 Upon your arrival you have an option of an evening game drive, or you can relax and begin your safari the following day. 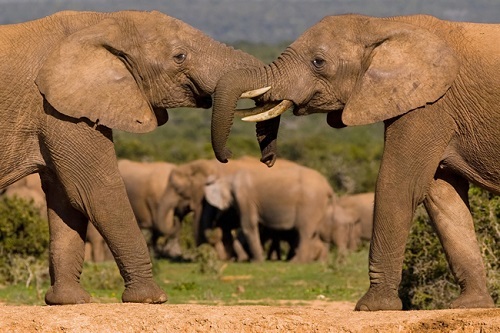 The day begins early, search for Africa’s wild Inhabitants, join a game ranger in an open top vehicle on a morning and evening game drive and take in all the sights, sounds, smells and learn about Africa’s wild secrets, her majestic animals, birds, insects and flora. Depart for Cape Town along the Garden route, an extremely scenic and magnificent stretch of coastline. On the way don’t forget to look seawards for a glimpse of the Southern Right whales, common dolphins and even killer whales that frolic close to shore. Tsitsikama National Park an African Paradise on the garden route will reward you with breathtaking views of the Tsitsikama indigenous forest and the Storms River Mouth. Enjoy a short hike to the incredible suspension bridge that serves as a look out point over a panorama of stormy seas and cliffs as the Storms river tumults in to the sea. Visit the Bloukrans Bridge and dare to experience an adrenalin filled jump of a lifetime from the worlds highest bungee jump 216m (709ft) – Guinness World Records. For those seeking moderate thrills we offer you the canopy tours, feel a rush as you slide from tree to tree above the Tsitsikama forest floor. 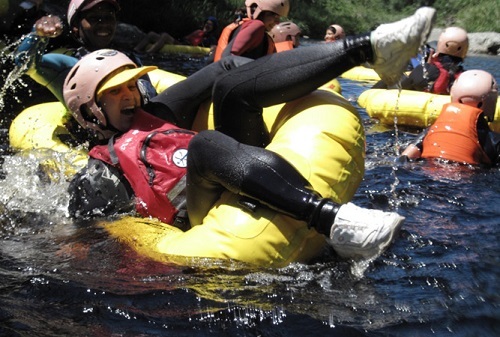 Black water tubing, “a form white water rafting” and mountain biking are also on offer. Proceed to the town of Oudtshoorn(ostrich capital of the world) along what is considered one of the most spectacular drives in the world with breathtaking views of the Swartberg Mountain, a World heritage site. 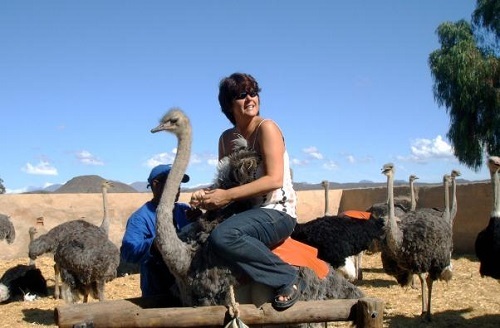 In Oudtshoorn visit an ostrich farm, and get the opportunity to touch, feel, sit on, or even ride these Giant African birds, and if you are really keen, participate in or watch ostrich races by local jockeys. Conclude your visit by spoiling your palate with a delicious ostrich menu consisting of ostrich liver pates, soup neck, ostrich fillet, biltong and other delicatessen. After Lunch tour one of the worlds greatest natural wonders. Sculptured by nature through the ages, creating fascinating limestone formations in a wide variety of colors the Cango Caves are truly an underground wonderland. 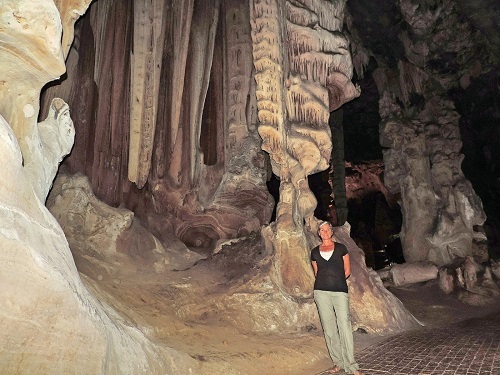 Knowledgeable guides will walk you along the magical paths that make up the vast halls of towering Stalagmite. View massive chambers, with names such as ,”weird Cango candle”, “ glass flower fantasy” – these limestone marvels are guaranteed to reward you with delightful unforgettable memories. This morning we cover the last stretch of our Journey to the “Mother City” Cape Town. Combine the drive with a tour of the Cape wine lands. 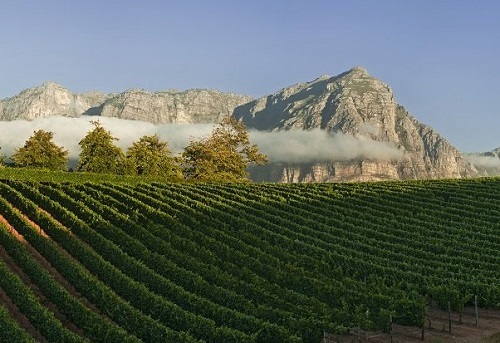 You will have the opportunity to view majestic mountain passes, scenic vineyards, experience excellent Cape Town wine, and Olive and Cheese tasting, learn how different cultivators of wines are processed. Get a chance to shop for award winning wines from the source and enjoy lunch in the finest of restaurants on estates considered to be showpieces of the Cape wine lands. Shop till you drop with visits to the Green Market square in central Cape Town, where you can pick up local art, crafts, fabrics and artifacts from almost every country in Africa. Splash out on international and local brands at Canal Walk shopping Centre the largest shopping mall in Africa, and at the V&A Waterfront one of South Africa’s most visited destinations, a shopping Mecca set in a working harbor, against the backdrop of Table mountain. The V&A Water Front is also the gateway to Robben Island a former prison for political activists which has since become a museum. Weather permitting, we visit Robben island, the infamous island prison that held Nelson Mandela, and several political and human rights reformists which is now a world heritage site. The tour includes a ferry trip, a tour around the island, a tour of the prison guided by former political prisoners. A chance in a life time to glance back into the history of the apartheid era. Visit table Mountain a new 7th Wonder of The World, with its unique flat-topped peaks which reach 1086m above sea level. 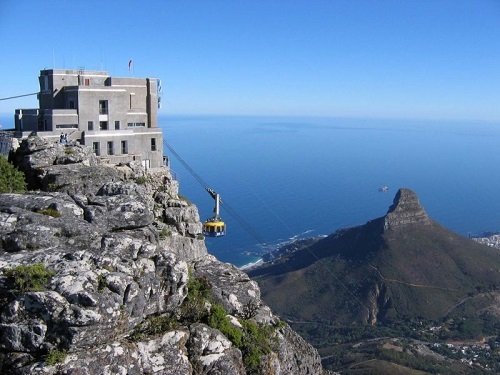 Ride the cableway to its summit whilst you delight in exquisite 360 degree views of the city. Or walk to the top on various routes, the most popular being Platteklip Gorge (about 1-2 km after the cableway) which takes about 1,5 hours if you are moderately fit. Experience rugged coastlines and untainted beauty as our tour guide takes you 60km south-west of Cape Town along the shores of the Cape Peninsula to the mythical meeting place of the Atlantic and Indian Oceans (Cape Point). A nature reserve within the Table Mountain National Park and a declared Natural World Heritage Site. 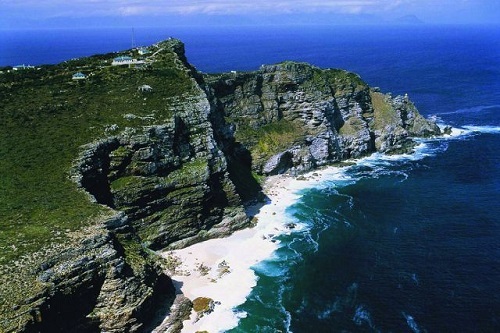 The scenic beauty of Cape Point is not its sole allure; it is also an international icon of great historical interest with many a visitor drawn to the area because of its rich maritime history. “The Point” by day was a navigational landmark ,whilst by night and in fog it was a menace beset by violent storms and dangerous rocks that over the centuries littered shipwrecks around the coastline. Your Mile by Mile guide transfers you to the Cape Town International Airport.